Yep, you’re right. There’s something else on Saturday evening too. Klopp’s Liverpool team will attempt to win their sixth Champions League trophy against Real Madrid in Kiev. Broadcasted live on the box and with Ireland boasting a large Liverpool fan-base, some will opt to stay at home and follow the Wexford match on the side through the voice of Liam Spratt or via Wexford GAA’s live Twitter feed. But, while Salah, Firminho and Mane will battle it out against high-calibre players such as Ramos, Ronaldo and Benzema, Davy Fitzgerald’s Wexford team will be facing a battle of their own in Ireland, at O’Connor Park. A slightly smaller stage, but the amateur competitors have that same desire to win as the professionals. Just like Liverpool and Madrid, this is a must-win for both Wexford and Offaly, with both teams having this game targeted. “”It’s a crucial game and it’s one we are targeting…We really have to get a performance and if we do, the result will look after itself” Offaly boss Kevin Martin said. A Champions League trophy isn’t at stake for the Wexford or Offaly hurlers, but, be under no allusion that there’s a lot riding on this game in Tullamore too. A win for Wexford would see Fitzgerald’s charges almost guaranteed a spot in the All-Ireland Quarter-final stages. We’re on the road, and marching on to a potential Leinster final date in Croke Park too. An opportunity not just to build on last years’ effort, but an opportunity to push one step further and gain silverware. 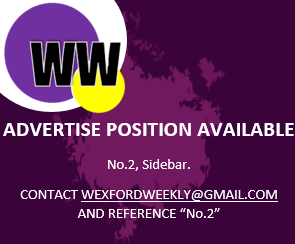 On the other hand, a loss for Wexford, with two tough games looming against Kilkenny and Galway, would place us in a fearful position – and there’s a likelihood that Wexford would be amidst a relegation dogfight to the Joe McDonagh Cup, depending on other results. Likewise, for Offaly, this game against Wexford is significant beyond words as they’ve lost their two opening round-robin games (to Kilkenny & Galway). Having openly targeted this game and viewed Wexford as one of the weaker counties, a win for Offaly here and against Dublin would probably see them through the All-Ireland Quarters instead. And, in their eyes, that’s do-able. A loss for the Faithful, and they’ll need a win against Dublin to avoid relegation to the Joe McDonagh, and that just serves to highlight the importance of this game for Offaly. But, they’ll know that too. Deep down, they were never expected to beat Kilkenny or reigning All-Ireland Champions Galway, so make no mistake, that they’re ready for this. With the many noticeable improvements of Offaly hurling over the past two years, relegation is out of the question – and they’ll do anything to avoid that. That’s what makes this round-robin game so interesting. While it’s not glorified, it’s not on tv, and it won’t be gathering national media headlines or attention, there’s a lot resting on this game. It’s a vital clash for both counties. On that note, expect a fiery encounter between two sides doing everything to win at all cost. Now, the waiting game commences and only time will tell.